After the success of the Black Mirror episode “Bandersnatch,” Netflix has been “doubling down” to utilize more interactive styles of entertainment on its streaming platform. This includes kids’ entertainment, which is where Battle Kitty comes into play. In the new interactive series, Battle Kitty invites kids to join the epic quest to defeat all the monsters on Battle Island and be crowned Champion, giving kids everywhere the power to explore and navigate their own adventures as they unlock new paths and layers in a futuristic-medieval world. “Netflix has given me the incredible opportunity to help change how young people see themselves. 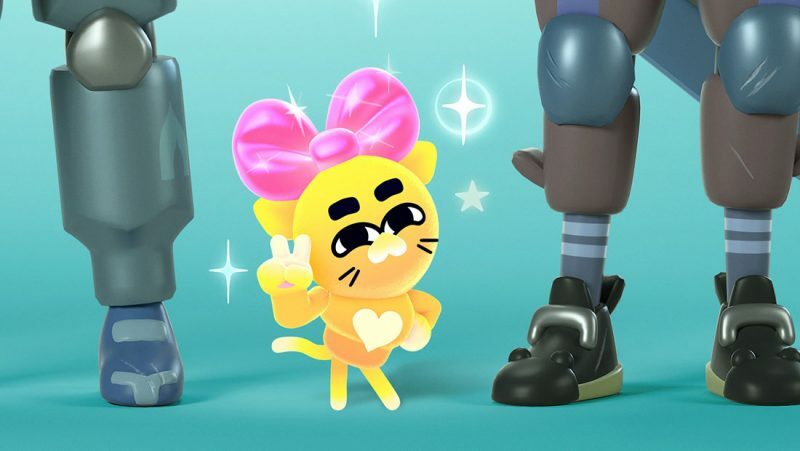 Like Kitty, an aspirational underdog with a big spirit of determination, I want kids who feel small to realize instead that they can stand strong, have friends, and go on to do amazing things,” said Battle Kitty creator Matt Layzell. Battle Kitty originated as The Adventures of Kitty & Orc on Layzell’s Instagram, who then rose through the ranks as an animator on Cartoon Network’s The Amazing World of Gumball, supervising director on Nickelodeon’s Sanjay and Craig, and supervising roles on Cartoon Network’s Apple and Onion and Netflix’s Pinky Malinky. Layzell will be a first-time showrunner on Battle Kitty, as well as serve as an executive producer.